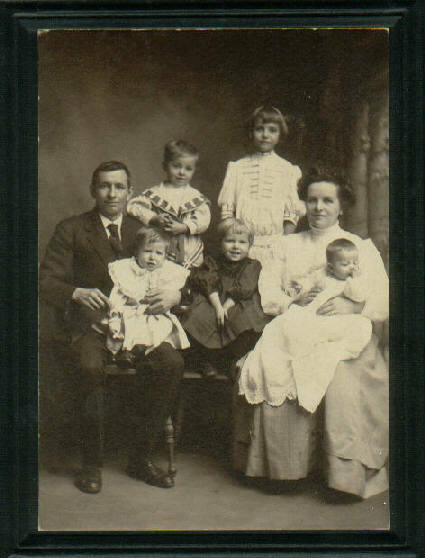 Comments: Robert T Dillon (Nee: Wetzel) | Carrolltown PA USA | 1901-1920 | Comments: This is a family photo of the Robert T Dillon family. It was taken around 1910. Mr. Dillon owned the Dillon Store. My Mother is standing behind her Mother on this photo. It was taken in Carrolltown, Pa.